The 2018 jury for Germany’s top literary prize includes literary critics, authors, a bookseller, and a former publisher. The winner will be announced on October 8. 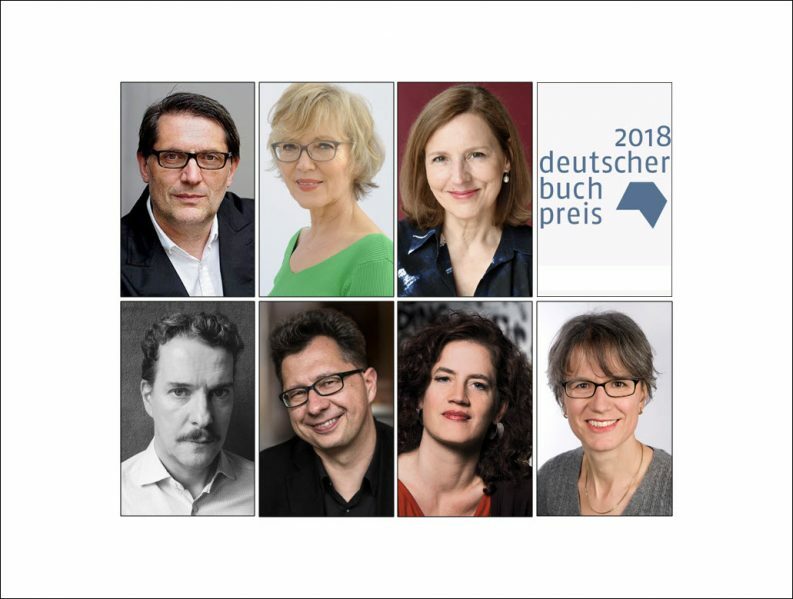 The Deutscher Buchpreis 2018 jurors are, clockwise from top left, Christoph Bartmann, Luzia Braun, Tanja Graf, Paul Jandl, Uwe Kalkowski, Christine Lötscher, and Marianne Sax. The German Book Prize, the country’s leading literary award, has announced the jury for the 2018 award cycle, with a reminder that publishers have until March 23 to submit their entries. In an eloquent prepared statement, Heinrich Riethmüller, president of the German Publishers and Booksellers Association and chairman of the German Book Prize Academy, is quoted speaking to the power of literature. “Literature,” Riethmüller says, “can spur debate. It makes people question things, irritates and shakes things up. Its wealth of perspectives widens our view to include the previously unconsidered and unsuspected. “Literature contributes significantly to a free and democratic discussion. “This makes it all the more important to bring new literature into the conversation and to introduce its themes to society. The winner of the German Book Prize receives €25,000 (US$30,642) at a ceremony just prior to the Frankfurter Buchmesse. The five finalists are awarded €2,500 each (US$3,064). 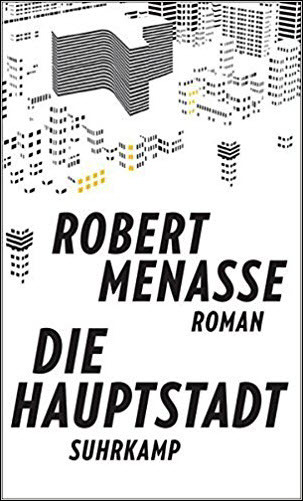 Robert Menasse won the German Book Prize in 2017 for his novel Die Hauptstadt (The Capital). Christine Lötscher is an independent critic who was a member of the team of critics on Swiss television’s Literaturclub until 2016, and was a member of the jury for the Swiss Book Prize from 2011 to 2013. 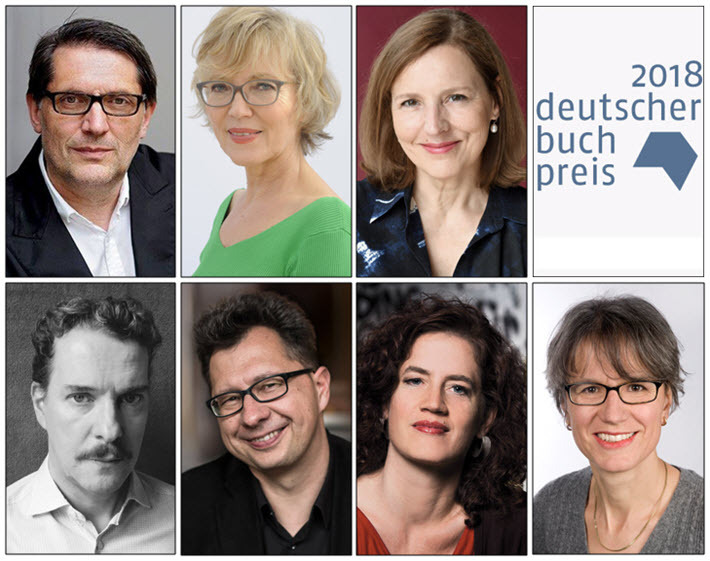 To ensure independence for the award, the German Book Prize Academy selects a new jury every year, although a juror can serve for more than one year. 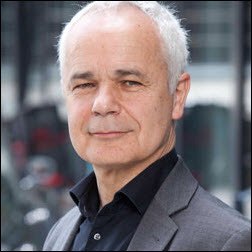 This year’s juror Christoph Bartmann, for example, was a member of the jury for the prize in 2008. The German novel of the year will be selected through a multi-stage process. First, the jury reviews all of the novels submitted by publishers and compiles a longlist of 20 titles to be announced on August 14. From that longlist, the jurors then select six titles for the shortlist, which is to be published on September 11. The six shortlisted authors don’t know which of them has won the German Book Prize until the evening of the ceremony. That ceremony is set to be staged on October 8 in the Kaisersaal of the Frankfurt Römer. The date coincides with the start of Frankfurter Buchmesse week. The entry period for publishers to put forward their nominations has opened and continues to March 23. Publishers may submit two German-language novels each–and recommend up to five additional titles–from their current or forthcoming lists. Applicants must be members of the Börsenverein des Deutschen Buchhandels or of the Swiss or Austrian equivalents, the Schweizer Buchhändler und Verleger-Verband and the Hauptverband des Österreichischen Buchhandels. The books entered must be published between October 2017 and September 11 of this year, when the shortlist will be announced. The books themselves, reading copies, e-books or galley proofs may be submitted until June 15. The German Book Prize is awarded by the Börsenverein des Deutschen Buchhandels Stiftung, the Foundation of the German Publishers and Booksellers Association. It receives funding from the Deutsche Bank Foundation, and additional partners include the Frankfurter Buchmesse and the city of Frankfurt am Main. Television network Deutsche Welle supports the German Book Prize in media activities both in Germany and in its international programming. Publishing Perspectives’ past coverage of the Deutscher Buchpreis, the German Book Prize, is here. If you’d like to follow the progress of the prize this year in various social media, the hashtag is #dbp18.